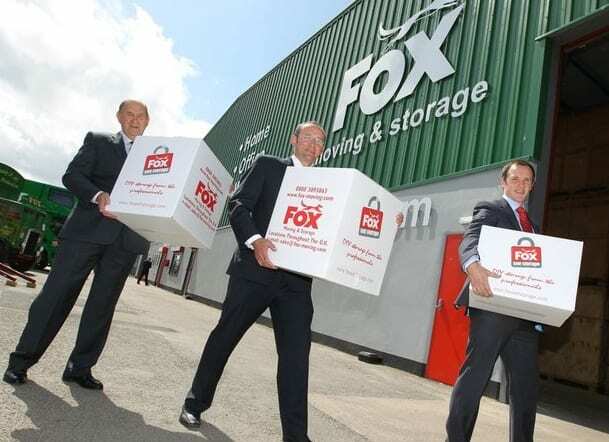 FOX Moving & Storage jointly celebrated its 40th anniversary and the opening of a new branch at Newport in May 2011. This was very appropriate as the founder Roy Fox grew up in Newport and his family have been in the removal and storage business in this city since the 1920s. FOX has grown from a small business in South Wales to a nationwide network of locations over the last four decades. Now providing moving and storage solutions throughout the UK, Europe and the World, FOX is a leading business in the domestic, business and international sectors. 1971 – J. G. Stephens & Sons of Griffithstown purchased by Roy Fox. The business is maintained as a going concern, relocated to Cwmbran ‘Newtown’ and renamed Fox The Mover. Soon afterwards the first brightly liveried, yellow FOX van is put on the road. 1974 – The old premises are disposed of and a new warehouse is built in Cwmbran. It is one of the first purpose built depositories in the country incorporating the then new container method of storing furniture and effects. 1975 – Pilkington Fibre Glass Insulation Factory opens in Cwmbran. FOX are appointed distribution contractors and the business grows rapidly. 1977 – Roy’s son Paul joins the business. 1979 – A purpose built 500 container store with an office block and maintenance garage are opened, within the first 10 years business. 1980 – Acquisition of William Flay Removals and establishment of a Cardiff Branch operation. 1986 – FOX merge with Jays of West Midlands and Briggs of Lincolnshire to form a nationwide group. 1987 – The Pantechnicon of London (established 1830) is acquired. The new Group adopts the name but continues to trade in their regional identities of FOX, Briggs, Jays etc. 1989 – FOX opens a 700 container warehouse and offices in Cardiff. 1990s – The Pantechnicon Group continues to develop and acquire strategically located businesses throughout the UK. 2006 – Paul’s son Daniel joins the business. 2008 – Fox acquires removals business Vanpac International in Southampton, from US-based parent company Atlas World Group. 2012 – Refurbishment of warehouse and building of new offices at the Group Head Office, Cwmbran……..
2013 – New premises acquired in Southampton and rebuilt to accommodate Vanpac International business and a new Fox Self Storage facility. 2014 – FOX acquires freehold Bristol premises and redevelops branch to include Self Storage.